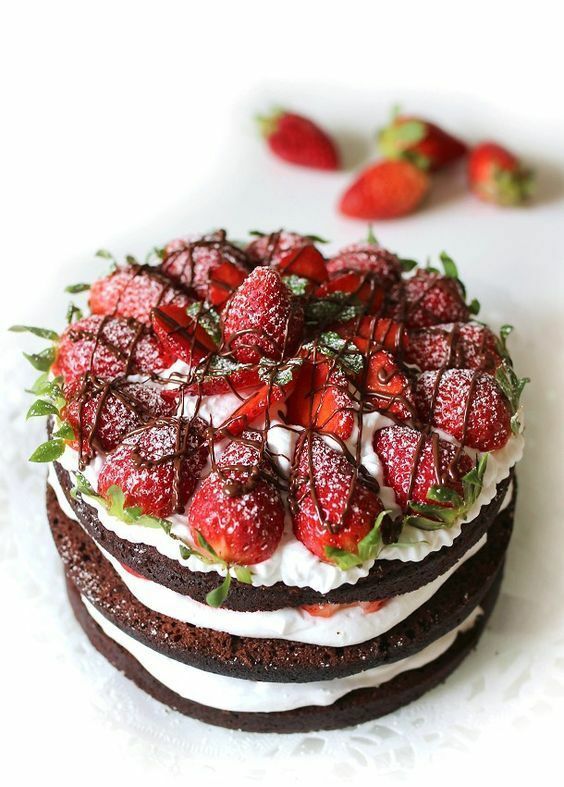 Veganism as a movement has seen a huge increase in popularity over the past few years. 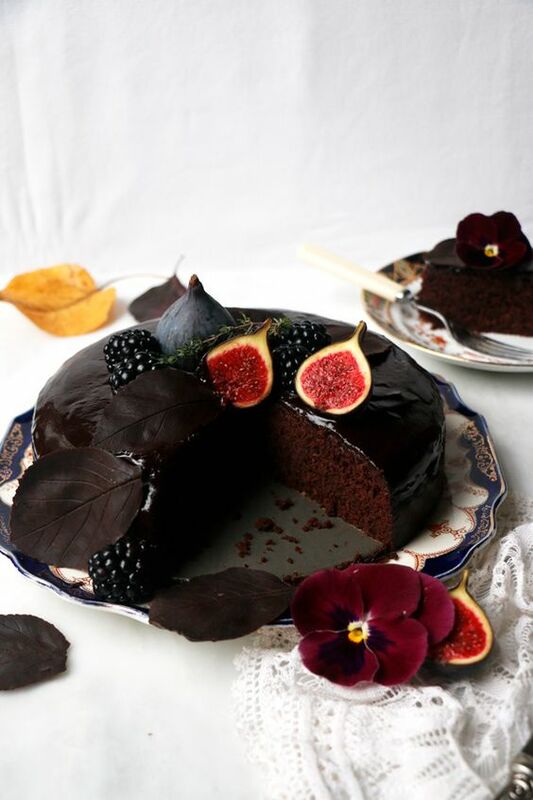 The lifestyle has been chosen by people who wish not to consume animal products, and more and more people are becoming aware of the incredible benefits that can be had by adopting this lifestyle – not just for ourselves but for the world as a whole. 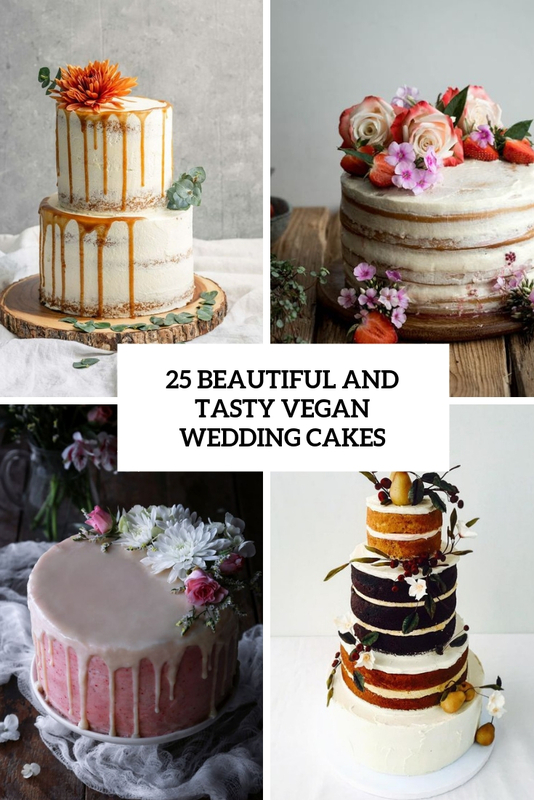 If you’ve chose a vegan wedding, then you’ll need everything vegan including food, drinks and of course your wedding cake. 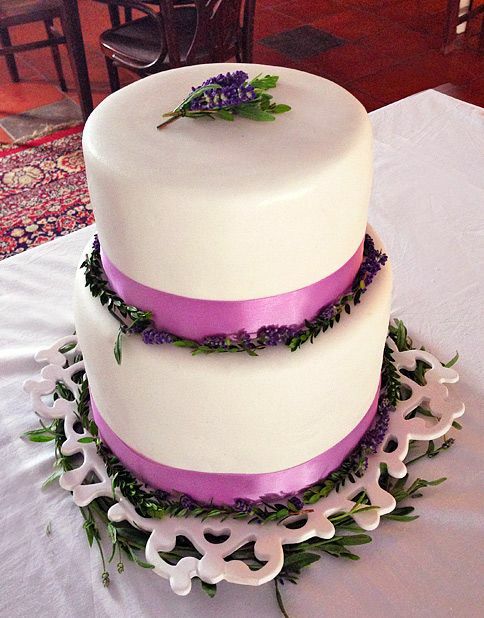 Vegan wedding cakes are those without any animal products. 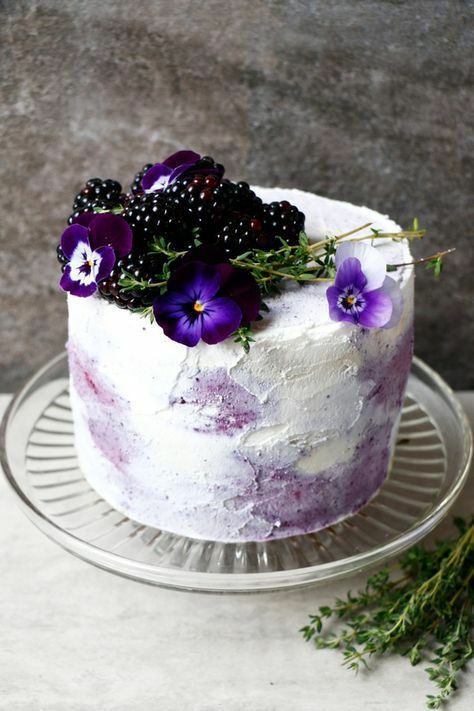 Believe me, they are no less delicious as usual ones as there are so many egg and dairy replacements the market these days, so bakers have a wide selection of tools to choose from. 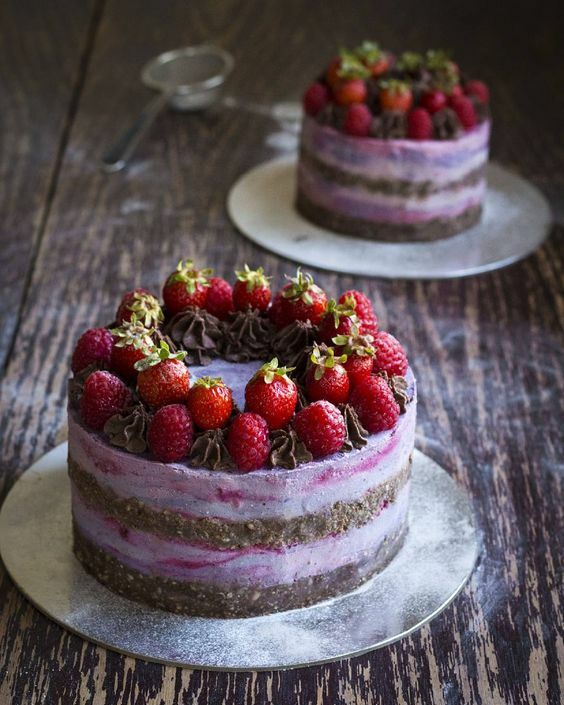 You may get one independent vegan bakeshops popping up all over the place or even at usual bakeries that are starting to master the art of vegan baking. 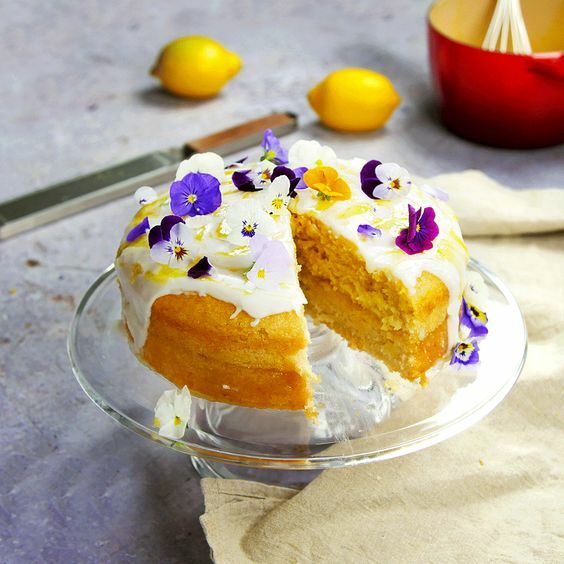 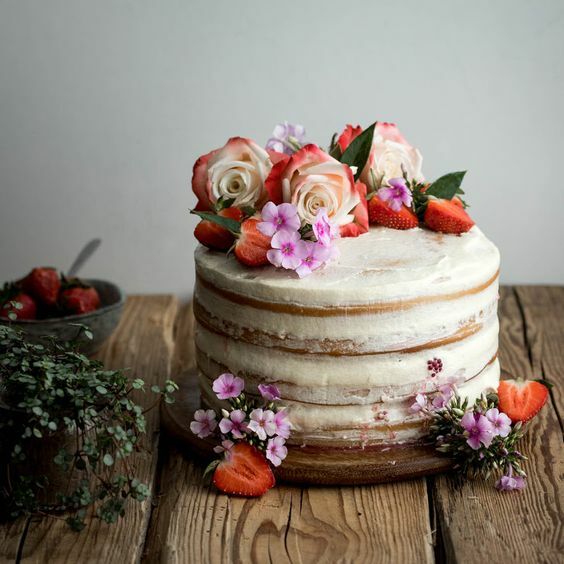 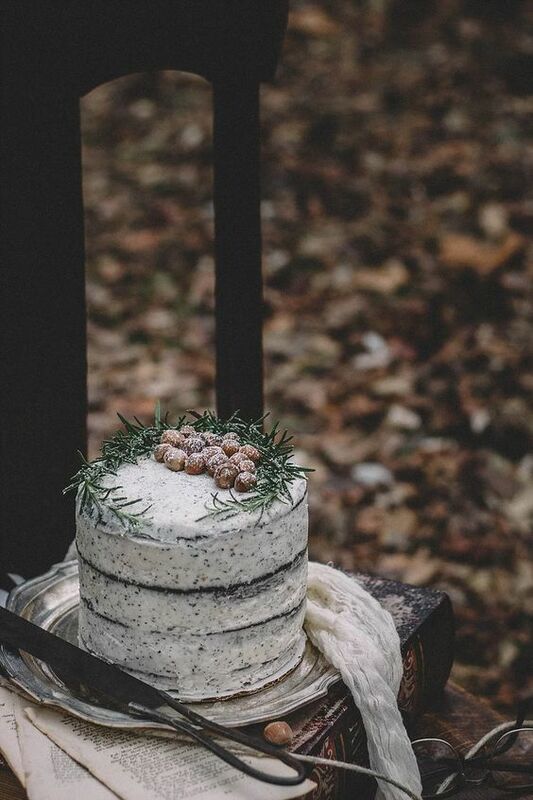 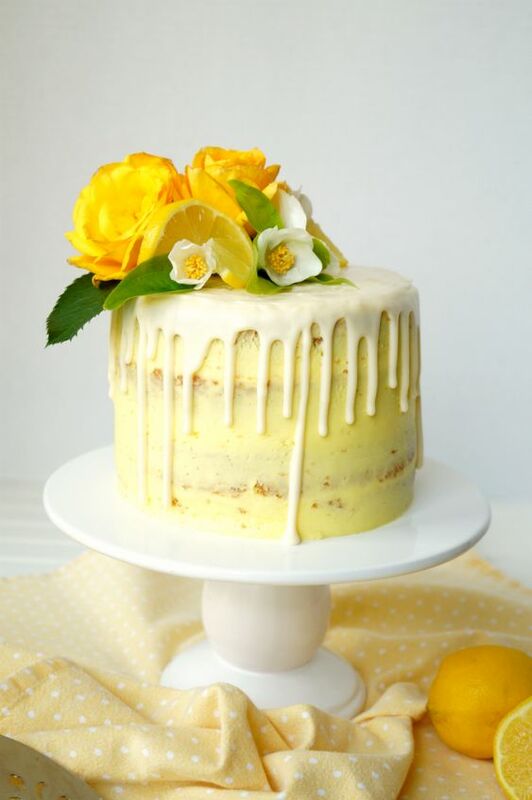 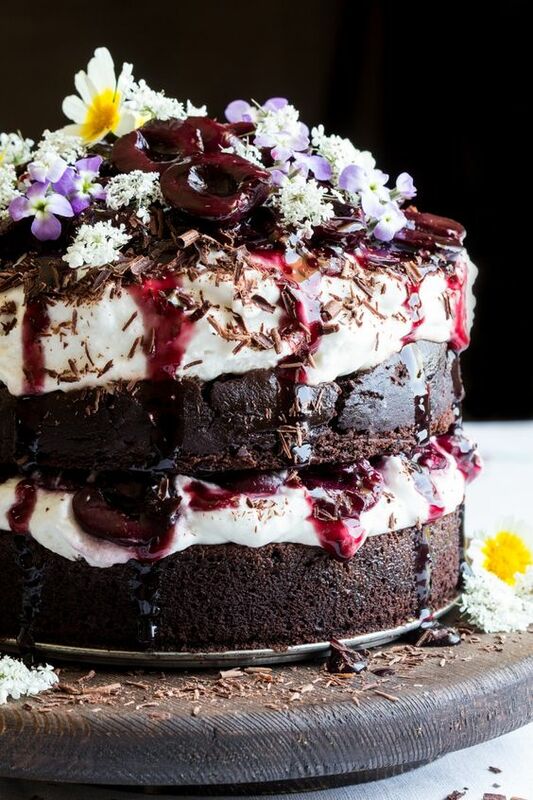 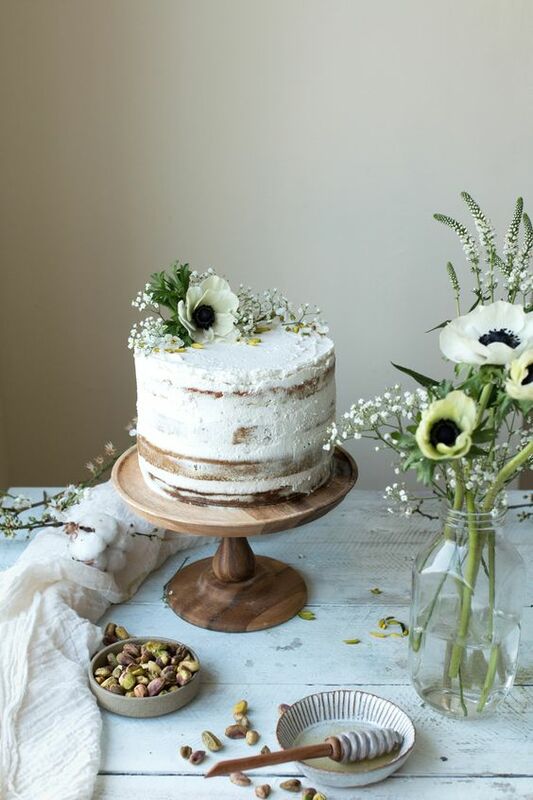 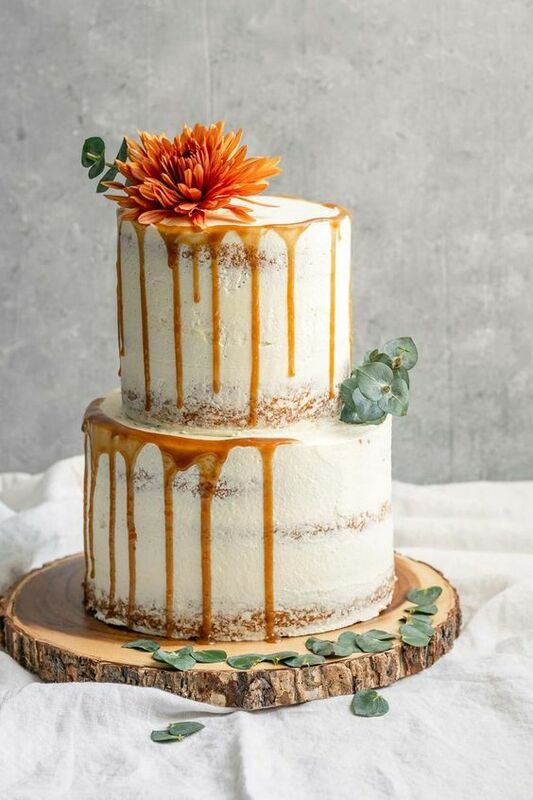 There are not only vegan wedding cakes, you may also find some gluten-freen vegan options and wholesome wedding cakes, so many guests will be able to eat the cake. 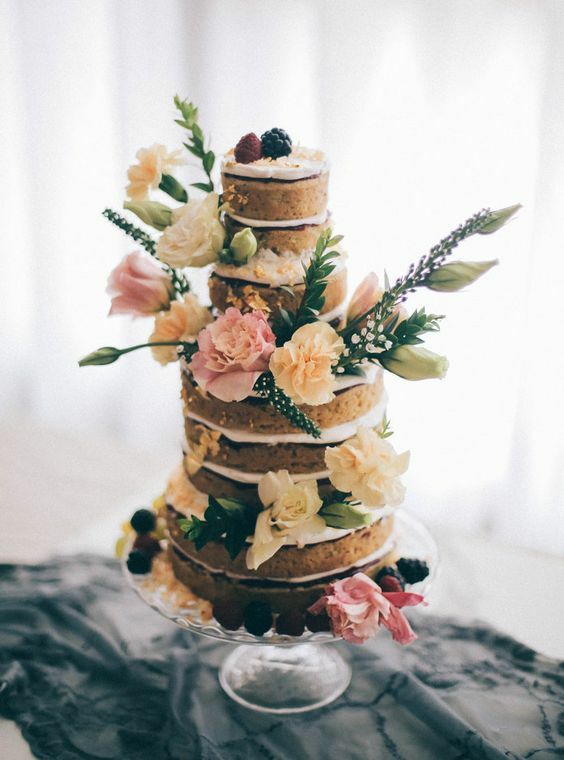 Remember that vegan wedding cakes taste no less cool than usual ones while being edible for everyone, if you two aren’t vegans, you may have a lot of vegan and gluten-free guests. 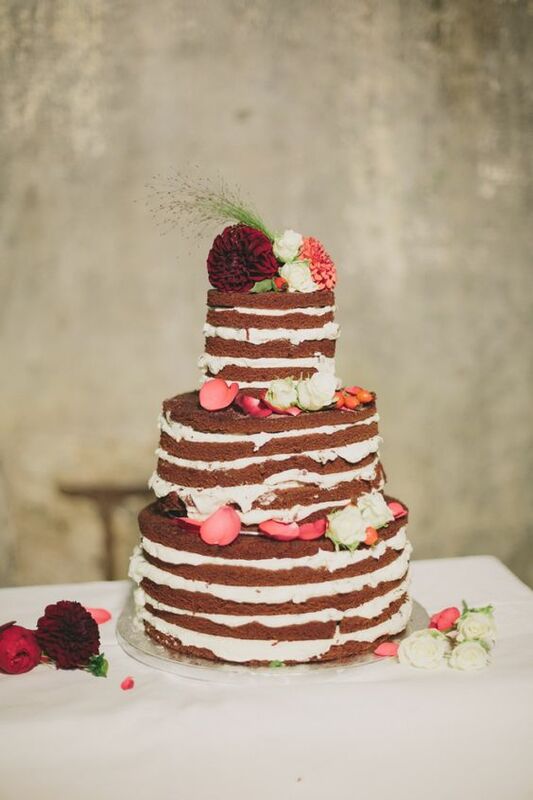 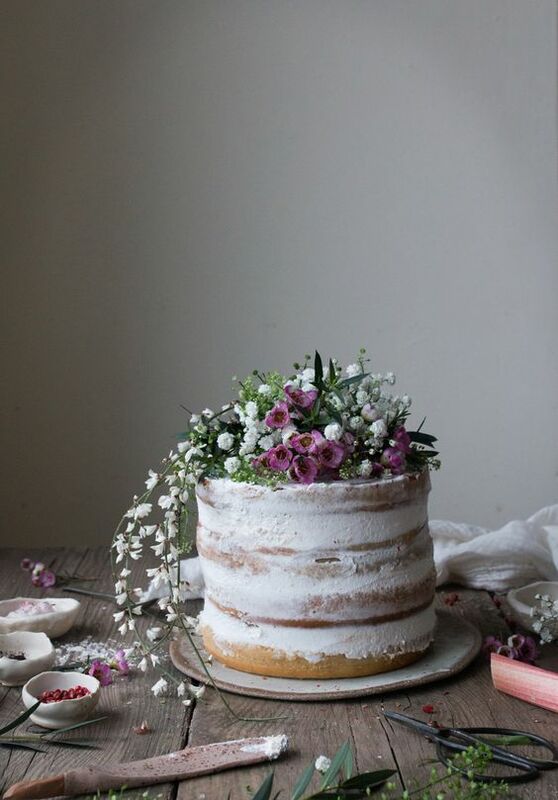 Let’s take a look at the vegan wedding cakes and I’m sure you’ll get inspired! 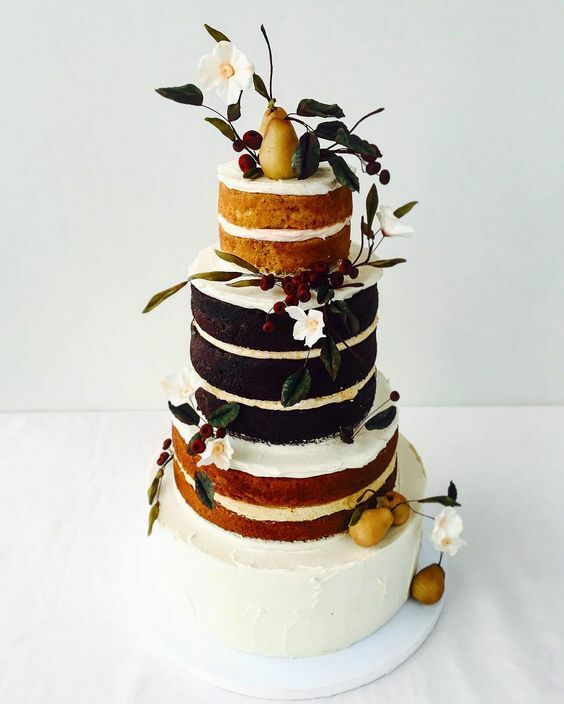 Naked wedding cakes are extremely popular and you may find a lot of naked wedding cakes that are vegan. 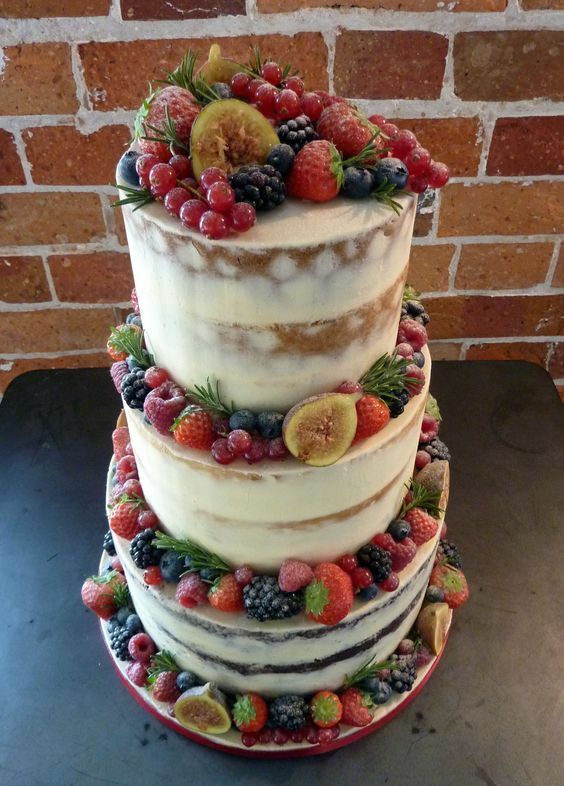 Vanilla, chocolate and coffee naked and semi-naked wedding cakes with fresh blooms, berries and fruit and greenery are no less tasty than usual cakes. 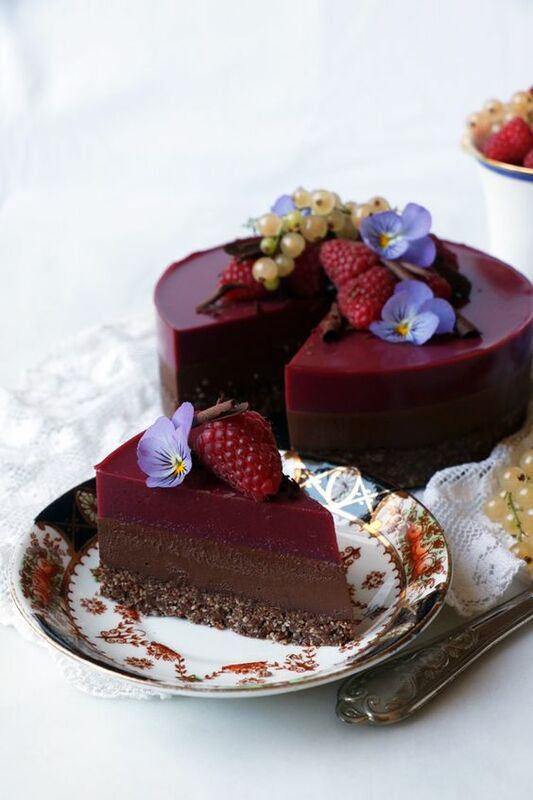 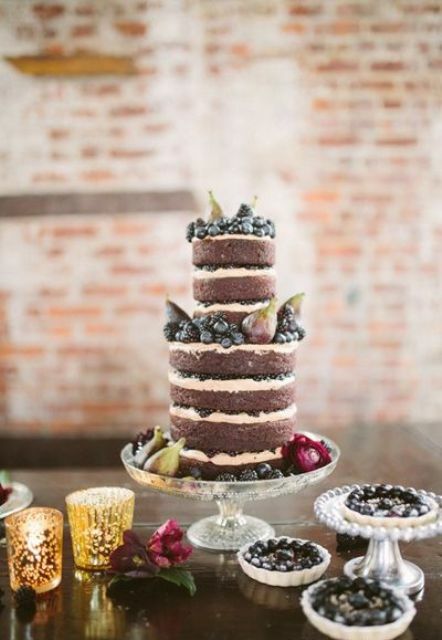 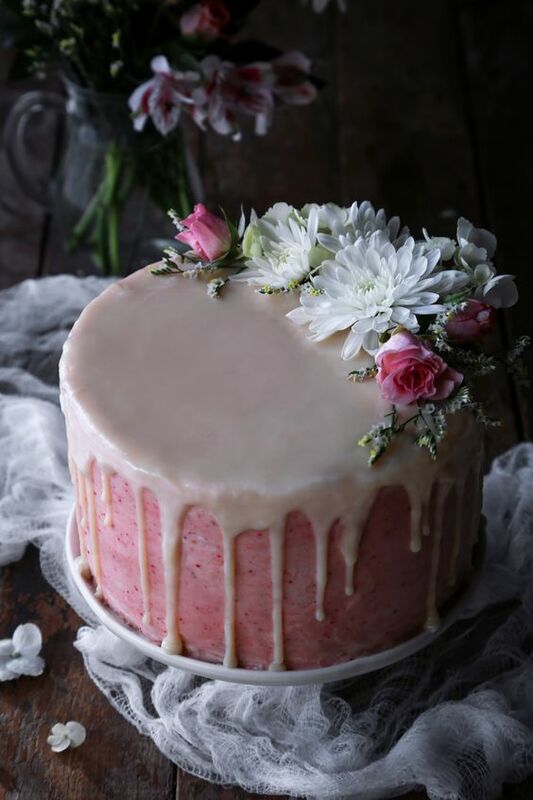 Take a look at naked wedding cakes with some berry agar jelly on top – this is a bold alternative to a simple naked wedding cake. 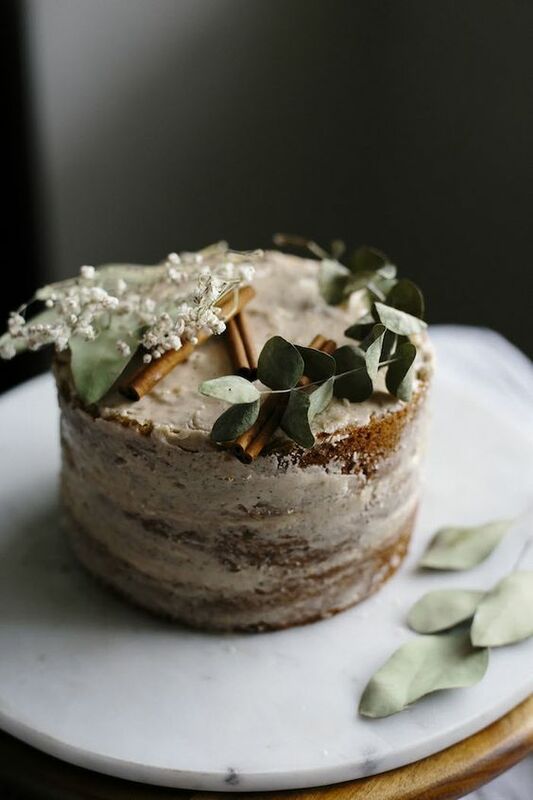 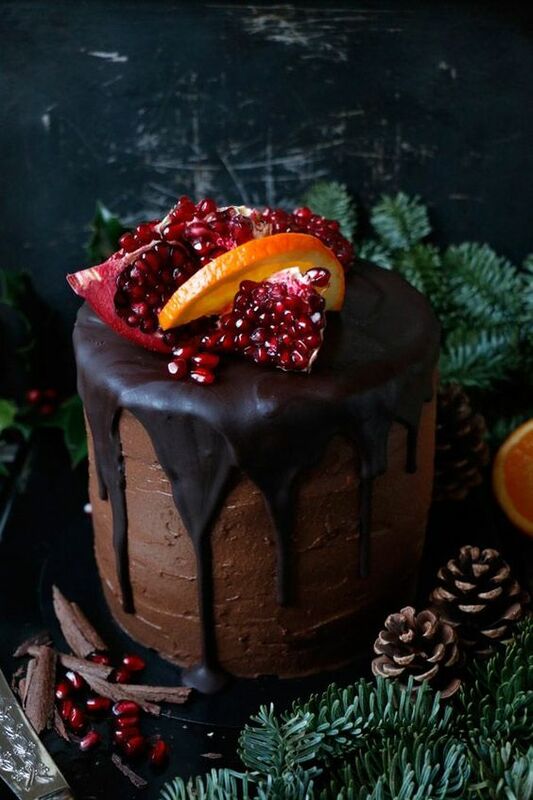 Frosted vegan cakes are amazing, too: you may rock any frosting you like (vegan cream cheese frosting is among favorites) and add a trendy drip – caramel, chocolate, pomegranate or any other. 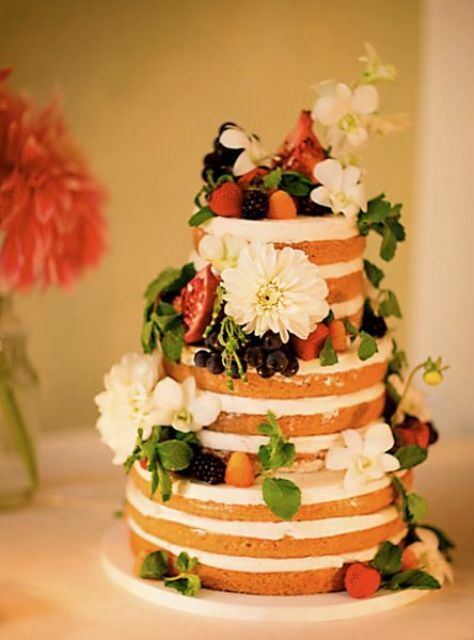 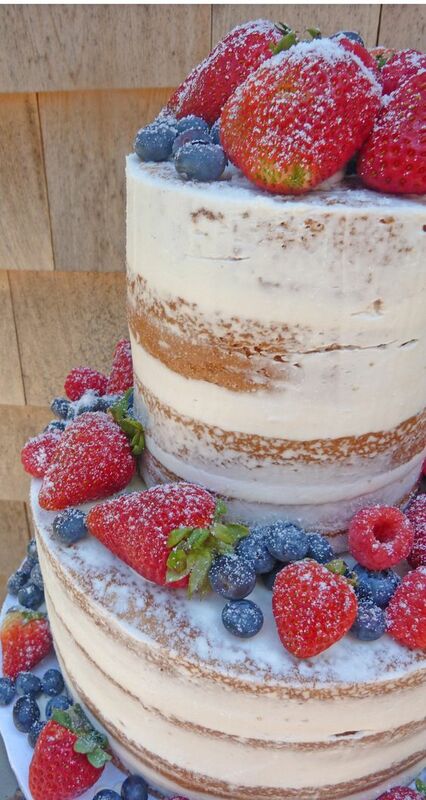 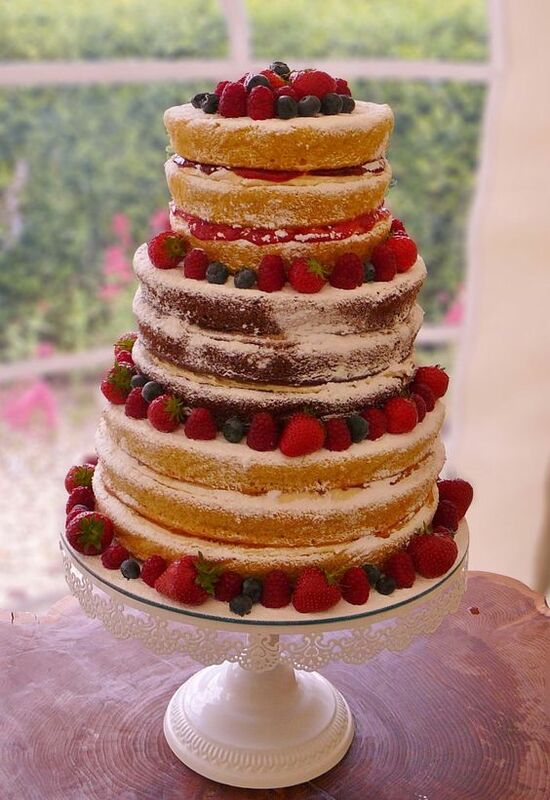 There are amazing wholesome gluten-free wedding cakes topped with fresh fruits, berries and flowers plus greenery.